The ability to resolve controversies is a major characteristic of civilized and organized societies. Through judicial systems and dispute resolution mechanisms, members of a society are able to submit even the smallest dispute to the analysis and consideration of an impartial third party. Trusting a complete stranger to rule impartially and honorably is a phenomenon that evolved throughout some of the harshest chapters of human history. Though sometimes flawed, judicial systems around the world are constantly adapting to the ever-changing landscape of the law. The landscape is not always simple. The effects of increased population, globalization, and excessive consumption have effectuated the evolution of dispute resolution. In many parts of the world, it is common to see large groups of people collectively claiming breaches of their rights and freedom. How do societies address the needs of many individuals at once while preserving the expeditiousness of the judicial system? The answer lies in a mechanism known as “class action”. Throughout history, particularly in the United States, class actions have left their mark as legal precedents and proof that organizations can yield results effectively. Who can forget the cases of “The State of Tennessee v. John Thomas Scopes” (religious freedom) or the controversial “Roe v. Wade” (abortion)? These cases, among many others, made incredible impacts that remain embedded in our legislation today. In this article, we will explore the main elements of class actions in the Mexican legal system, including their process, requirements, and many of the questions that arise in relation to this unique resolution mechanism. 1.- What legislation governs class actions in the Mexican legal system? Class actions are legal mechanisms intended to defend and protect collective interests. However, as we will discuss further, certain particularities apply, depending on the type of class action pursued. 2.- What types of issues are actionable through class actions? Let’s suppose a large beverage corporation launches a brand-new product in the southern region of Mexico. Thanks to an effective marketing campaign, the company is able to exceed its sales projections and the product becomes a success. However, people in a rural area who consume the product begin experiencing grave health issues and are able to link the product to their illness. The consumers are entitled to file a class action, provided that they meet the requirements for standing and representation. 3.- When does a particular class have “Standing” under Mexican law? 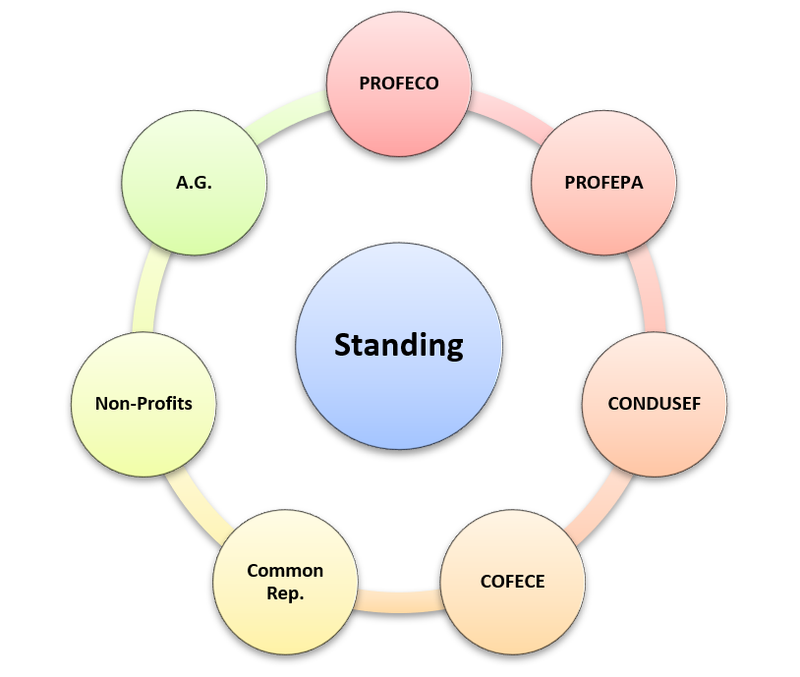 “Standing” refers to a person’s ability to file claims or establish defenses before a court of law. In other words, he is able defend his interests, thus proving his entitlement to seek justice. When it comes to class actions, the doctrine of standing becomes very limited. When a situation arises in which collective rights are breached, aggrieved individuals are certainly able to seek justice before a court of law separately, without the limitations of a class action lawsuit. However, should individuals want to pursue a claim as a class, they will encounter certain difficulties. This is because, according to the FCCP, only certain agencies and individuals may file class actions on behalf of a community of plaintiffs. In other words, even though individuals are entitled to pursue a class action suit, the law provides that they may only do so through the corresponding entities and individuals. Furthermore, proper standing depends on the subject matter of the class action, as we will soon discuss in greater detail. 4.- Who is legally able to file class actions? The law provides that, throughout the process, all of these representatives have an obligation to avoid conflicts of interest and to act diligently, in good faith, and with due care. Failure to abide by these standards may result in termination of their representative services and the appointment of a new representative by a judge. Thus, while the law limits the population’s ability to seek class actions (as discussed above), it also establishes a series of safeguards to ensure that groups’ interests are fairly and adequately represented. 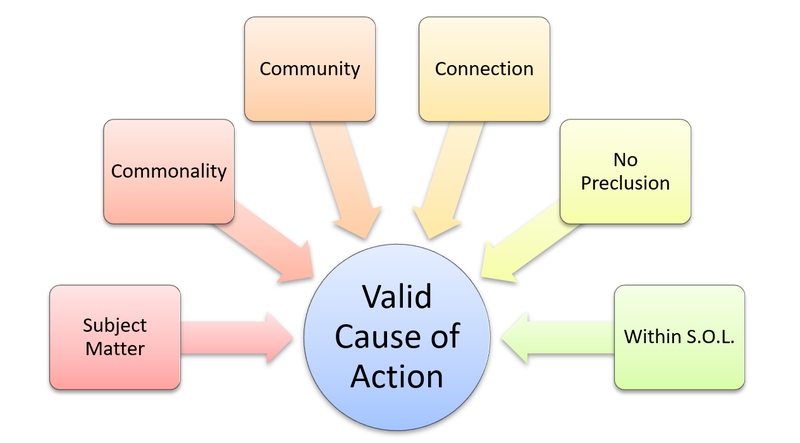 5.- What constitutes a valid cause of action? Another important element to consider when dealing with a class action is its cause of action. As discussed above, class actions may only be filed about matters related to consumer protection, environmental protection, and anti-trust. However, a potential class action must meet certain requirements before a court of law even hears the case. • Harm consumers through monopolistic practices. 2. – Commonality: It must deal with questions of law or fact that are common between members of the aggrieved community. 3. – Community: At least 30 members must join together to pursue the class action. 4. – Causal Connection: There must be a connection between the claimed act and the harm suffered. 5. – No Claim Preclusion: The subject matter of the litigation must not have been previously resolved in another judicial proceeding. 6. – Statute of Limitations: The claim must be filed within the statute of limitations (3 years and 6 months according to the FCCP; 12 years for environmental matters). 6.- What general procedural rules must be observed when dealing with class actions? • The applicable legal provisions. After an acceptable claim is filed, the court orders a notification to the defendant, who must answer the claim within a period of 5 days. 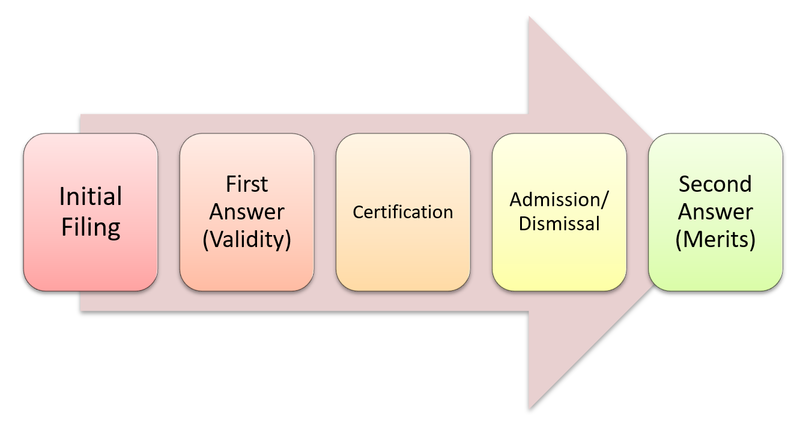 This response is exclusively related to compliance with the above requirements. After the defendant files his/her answer, the presiding judge must either declare the class action as “certified” or deny such certification within a period of 10 days. Successfully passing this stage of the proceeding is crucial because it is the moment when the judge decides both to treat the plaintiffs as a group/class and to subject the issue to all applicable legal formalities. Receiving a class certification means that the consequences of the lawsuit will apply not only to the contending parties, but also to anyone else who has been affected by the subject matter of the litigation. Once certified, the class action claim may be admitted or dismissed, depending on its merits. If admitted, the judge orders a notification to the corresponding entity or individual (as discussed in section 4 of this article). Decisions to admit or dismiss a claim depend on its subject matter (environmental, consumer protection, etc.) and may be appealed immediately. After being notified of the admission of the claim, the defendant has a period of 15 days to file an answer regarding its merits, validity, and arguments. 7.- Can additional plaintiffs adhere to class action claims that have already been filed? Article 594 of the FCCP provides that any additional plaintiffs not part of the initial filing may voluntarily adhere to the class action during the legal proceeding and up to 18 months after a judgment has been issued or a settlement has been reached. However, the plaintiff must first inform the corresponding class representative of his/her interest in adhering to the class action. The representative, in turn, brings this matter to the presiding judge, who resolves the request. 8.- Are there any alternative mechanisms to resolve class action disputes? The FCCP encourages both parties to enter into amicable settlements as a way of avoiding unfavorable judgments. Before the actual trial begins, the presiding judge schedules a conciliation hearing. In this hearing, the judge offers both parties options to achieve a peaceful and friendly outcome. If the parties so chose, the conflict may end with a settlement agreement, which must be approved by the class’s representatives. If the parties do not reach a settlement, the case moves forward to trial, where a judge will analyze each side’s arguments and available evidence and issue a judgment. 9.- What protective measures are available in class action claims? • Any other measure deemed pertinent by the presiding judge. In order to receive any protective measure, the requesting party must clearly indicate the harmful acts or omissions affecting their rights and the urgency of the measure. 10.- What happens if, upon judgment, the losing party is noncompliant? Is the court able to enforce its judgment? • Felony charges for disobedience. Though regulated, class actions are not common in Mexico for reasons unknown. Potential explanations include a lack of trust of the judicial system or governmental authorities, a lack of preparation by legal professionals, or increased uncertainty surrounding litigation. However, despite the fact that they are uncommon, scholars and practitioners alike find class actions too fascinating to be cast aside as useless or unimportant. It is of the utmost importance that legal professionals, civil organizations, and investors (both domestic and foreign) become familiar with this mechanism because of its potential impact on companies and individuals alike.